Block the sun, not your view! 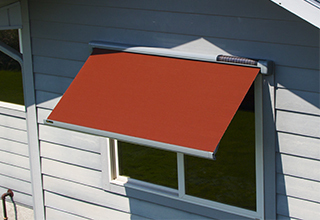 The EZ Zip Blocker is a vertical shade that connects to your awning providing shade and sun protection all day long. It blocks 85% of the sun’s light without blocking your view! 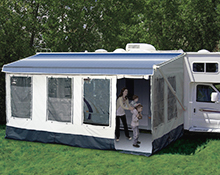 It features a unique, two-piece zippered design that works with powered awnings as well as manual awnings. Just zip/unzip to install or teardown in less than a minute! 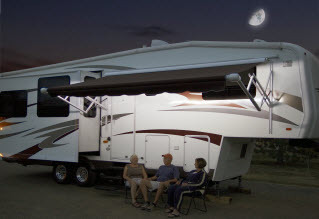 No longer do you have to get up from your comfy chair to open and close the awning or to adjust the brightness of the LED lighting. 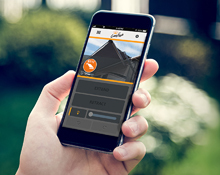 With Carefree Connects, this can now all be controlled from your favorite smart device. 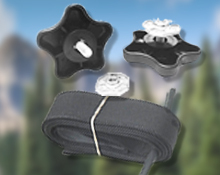 The Carefree Connects system also includes Auto-Retraction for peace of mind during inclement weather! 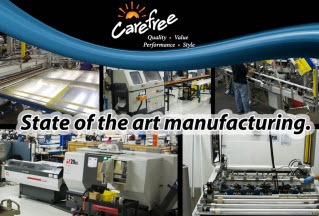 Carefree offers the widest range of fabric choices, colors and fabric protection options to upgrade your existing canopy. We provide Universal Replacement canopies to fit any brand awning and we are the only company that offers unique canopy replacement options like Premium Vinyl Fabrics and FLXguard fabric protection. 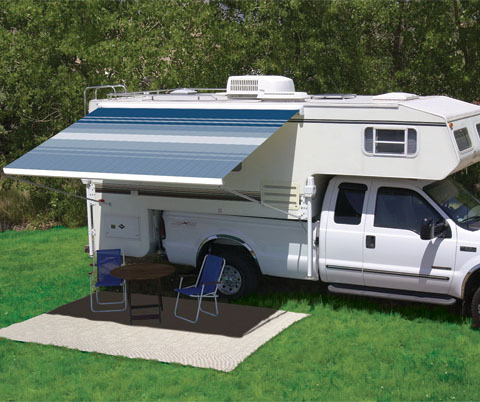 The Simply Shade Window Awning provides the easiest, most hassle-free way to both purchase and install RV window awnings. 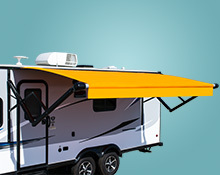 It is the first RV window awning designed to be ready out of the package for immediate, DIY installation. It's that simple! 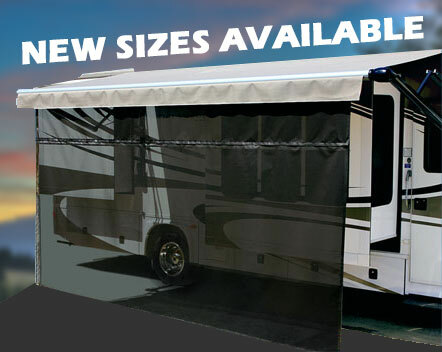 Available in black or white with a matching vinyl canopy, and lengths of 3' - 6' with increments by the half foot. 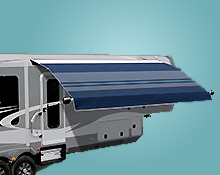 No matter what type of Motor Home you own, we offer a complete line of RV awnings and accessories to outfit your coach! 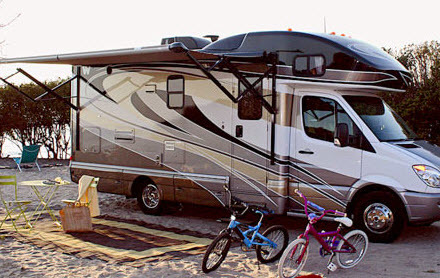 We carry innovative, quality products you can use regardless of the type of Motor Home you have; whether it's new or used, you will want to be sure to check out the full line of Carefree products! 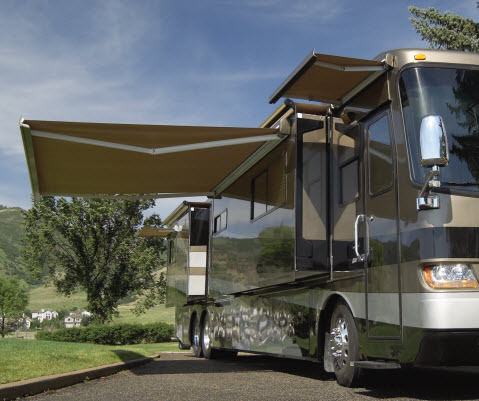 Whether you have a Travel Trailer, Fifth Wheel or Toy Hauler, we have a HUGE selection of awnings and RV accessories to outfit your rig! From the time-tested classic products to the newest, innovative must-haves, Carefree has you covered! 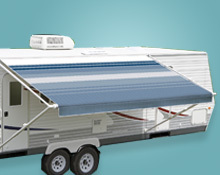 No other RV awning company offers you so many options for your towable RV! 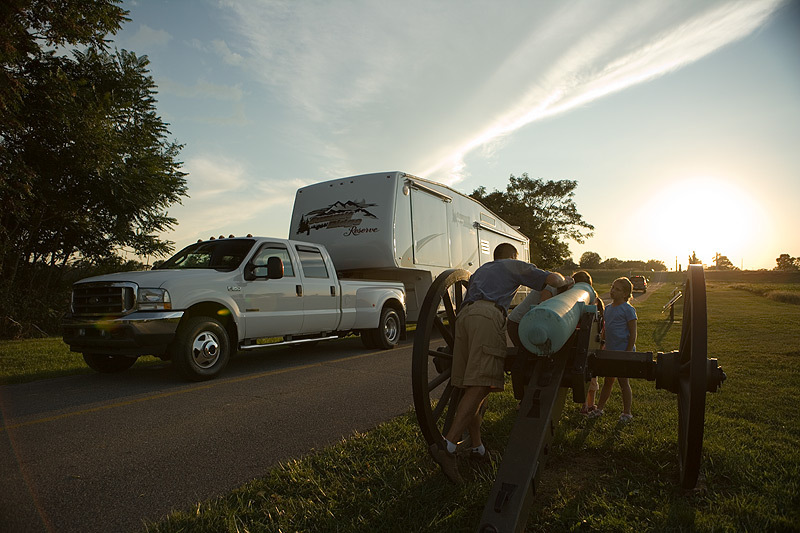 Wherever you want to go, your truck camper will take you there! 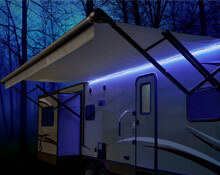 We have a vast array of awning products and accessories that will meet your needs! Folding Camping Trailers, also known as Pop-Ups or Tent Campers, offer the versatility of tent camping with the protection of RV camping. 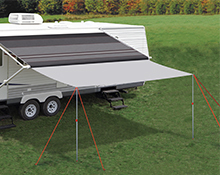 Check out our Folding Camper Trailer Awnings, rooms, and accessories to enhance your campsite, increase your living space, and enjoy the great outdoors! 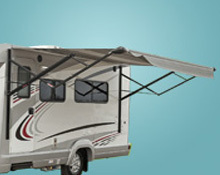 No matter what type of Motorhome you own we offer a complete line of awnings and accessories to outfit your coach! 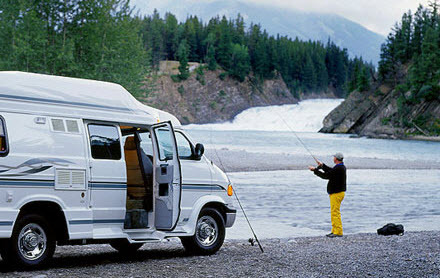 Innovative, quality products you can use whatever type of Motorhome you have, whether it’s new or used you will want to be sure to check out the full offering of Carefree products! 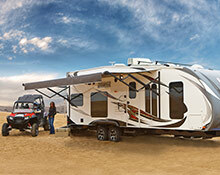 Travel Trailer, Fifth Wheel or Toy Hauler we have a HUGE selection of awnings and accessories to outfit your rig! From the time-tested value leading classic products, to the newest, innovative latest must-have’s. 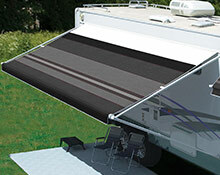 No other awning company offers you so many options for your towable RV! 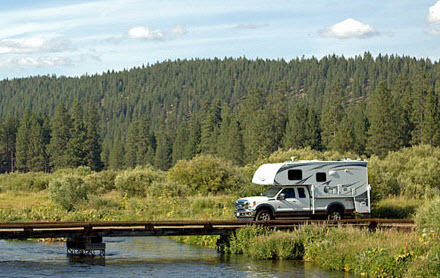 Where ever you want to go your truck camper will take you there and we have a vast array of awning products and accessories that will meet your needs! 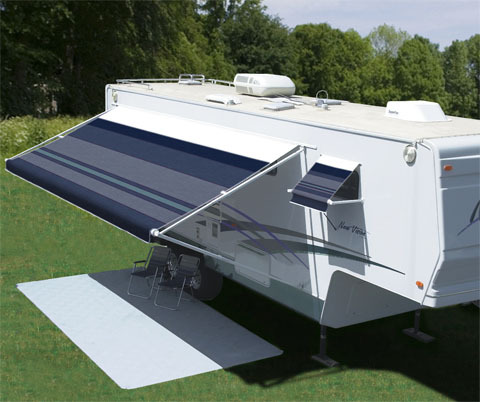 Folding Camping Trailers also known as Pop-ups or Tent campers offer the versatility of tent camping with the protection of RV camping. 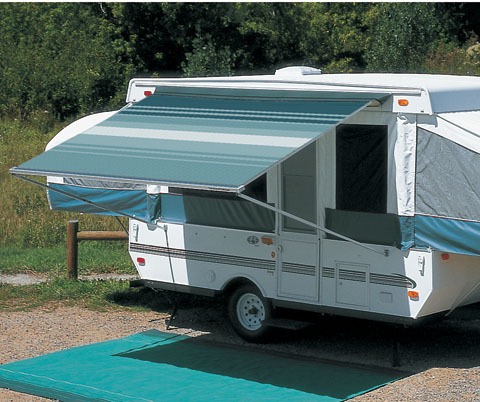 Check out our Folding Camper Trailer awnings, rooms and accessories to enhance your campsite, increase your living space and enjoy the great outdoors!